"This is not the year of the mobile phone". The African consumer is tired of hearing this because the mobile phone has been in their hands since 2011, so what next? We are living on the African continent, not Europe or the US, and as marketers, we need to accept this and stop applying overseas trends to our African target audience. The cost of data is still not affordable, especially as South African data pricing is skewed to disadvantage the poor and current economic times make every rand spent a question of whether or not it’s a luxury or a necessity. With this in mind, mobile solutions need to solve current African problems before the latest overseas trends can be applied – if you, as a marketer, are not solving an immediate need or improving a current bugbear, please don’t deliver solutions that the customer does not need - or worse, cannot afford to use. We have had the customer immersed in the mobile channel for a while now and it’s time to start personalising the experience and show them how you are delivering real value to make their lives better. M-commerce, for example, needs to start personalising offers (you have a history of what your consumer is buying) relevant to the consumer. There is no excuse not to be doing that. Repetitive orders can be easily implemented, with a verify and tap to reorder, rather than making someone search through an already exhausting list of options. And omnichannel is key, silos should have been dismantled a while back, the customer expectation, if you are a brand, is, ‘you know me, serve me relevance based on my needs across your brand integrating all channels, not channel specific’. Search is the key and gateway to information. Voice and camera integrations have been improved dramatically over the past 12 months with voice assistants so integrate this into your strategies. Image, voice and search recognition software and training has improved over the years and is continuously improving providing the data collected gets used to train algorithms accordingly. So make use of this data to do that, to ultimately improve the user experience, which will result in real value. Mobile consumption has grown significantly thanks to the explosion of mobile devices over the years, and access to location data is now far more easily available with the accuracy improving with handsets. Getting your customers, however, to give you permission to access this data is not always as easy, especially with the added pressure of every app prompting users to give permission to use their location data so when getting permission from your user, do make it worth their time. Imagine doing a price comparison on a vacuum cleaner on your mobile phone and then receiving a notification that one of the brands you were considering has gone on sale while in a shopping mall, and you can now conveniently complete the purchase in-store? Marketing companies can literally now take advantage of segmentation right down to a single person. We’ve seen an explosion of fast-food apps in 2017-18, these being one of the most utilised types of apps worldwide and it makes perfect sense as the mobile consumer is in a hurry and usually wants immediate gratification. This trend will likely continue in 2019 as our world is a fast-paced one and everything is about practicality, immediacy and comfort. The market for on-demand services is continuously improving with more and more services being added daily, each better and faster than the last. Every routine action in our lives has assumed a modern twist; in many ways, we’re living in the future. My prediction is that on-demand services in the beauty and grooming industry is likely to take off in 2019 as it did in 2018 for fast-food. Consumers are increasingly relying on messaging apps for all forms of communication, whether personal, business, or commerce. Increasingly, consumers are using chat to find and select products and services, and to complete the payment process, all without having to call, email, or even visit a brands’ website. Everything is happening within the messaging app with messaging apps becoming the preferred means of communication. Chat companies are now partnering with brands to make it simpler for customers to buy from them and chat apps like Whatsapp making their APIs available for medium and large businesses, this makes it easier to integrate your customers choice of messaging app to your brand. Not only is conversational commerce simpler for consumers who, thanks to messaging apps, no longer need to toggle back and forth between text conversations and websites to gather information and make purchases, but it’s also a step closer to the attention you might get from a sales associate in the store. Reducing the steps required, and the number of information sources consumers need to turn to shortens the distance between prospect and purchase. With mobile, the power is literally in your hands. You have access to personalised real-time time information about your user and as a brand, it is an amazing opportunity to be able to get to the bottom of the data and understand your audience. This is the key to creating great relevant mobile marketing solutions that deliver value to your target audience, which is also sensitive to their mobile data costs, we are in Africa after all. With over 15 years of experience in the tech, digital marketing and mobile solutions space, Hundermark co-founded specialist mobile solutions consultancy Useful & Beautiful. 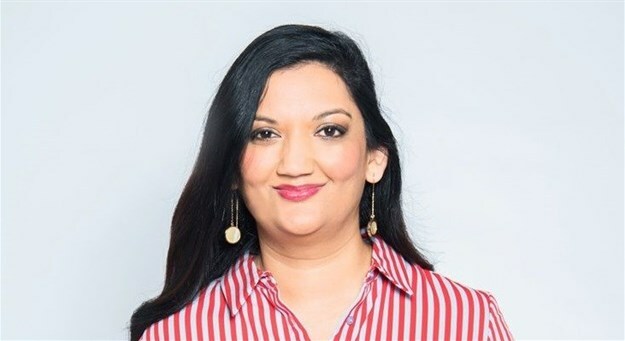 With a passion for developing mobile products that are aligned to business goals, Hundermark's appetite for keeping abreast of the latest industry trends is fast establishing her as an expert tech commentator and opinion leader in South Africa. Follow @lynetteanthony on Twitter.